Ventaja Nutraceuticals™ Glucosamine + Chondroitin is a dual action formula for effective osteoarthritic joint pain relief and lubrication and nutrition of the joints. It contains the most scientifically validated form of glucosamine. The ingredients in Ventaja Nutraceuticals™ Glucosamine + Chondroitin, have been selected for the benefits they provide to the joints and can provide relief from various symptoms of osteoarthritis. 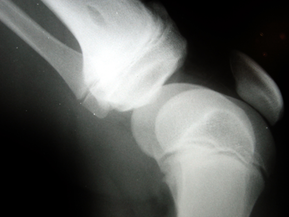 Osteoarthritis is characterized by joint degeneration and loss of cartilage. As we get older the ‘wear and tear’ effects of use may cause degenerative changes in the cartilage. The cartilage becomes more susceptible to breakdown and damage, which may result in the typical symptoms of osteoarthritis. Ageing decreases the ability to restore and synthesize normal cartilage. Glucosamine and sulfate are natural components of the cartilage matrix and synovial fluid. Glucosamine is a major building block of the substances that together with protein form the structural units in cartilage. These structural units, called aggrecan, are important for the elasticity, resilience and shock-absorbing properties of cartilage. Supplementary glucosamine sulfate as glucosamine sulfate sodium chloride complex helps reduce cartilage wear, increase joint mobility and decrease joint stiffness in osteoarthritis. Clinical trials have shown that 1500 mg glucosamine sulfate as sodium chloride complex significantly improves pain and functionality in osteoarthritis. Results show a decrease in pain of 20-41%, and improved functionality of 21-46%. In addition, glucosamine sulfate may have a long-term protective effect, acting to reduce cartilage wear. An eight-year study on 275 patients, published in 2008, found that supplementation with 1500 mg/day of glucosamine sulfate for at least one year reduced the risk of knee replacement to approximately half that of the placebo group. The same study also found in a sub-group analysis that patients who had previously taken glucosamine sulfate used significantly less medications & health resources for osteoarthritis symptoms. 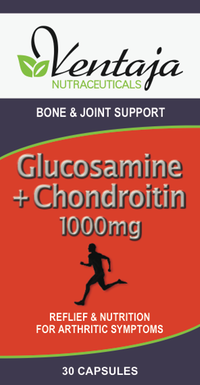 Chondroitin, like glucosamine, is a natural component of cartilage. Chondroitin is also involved in the lubrication and nutrition of the joint, and helps the joints to resist compression. Manganese and boron are minerals which appear to play roles in joint health. Manganese is essential for the production of cartilage and bone. 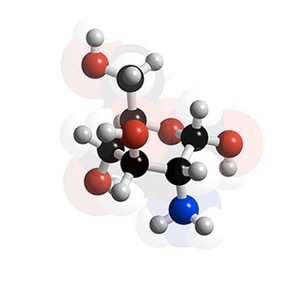 Boron plays a role in the chemical make-up of bones and joints. Adults – Take 1 easy swallow tablet twice a day with meals or as professionally prescribed. Glucosamine is derived from seafood. Not recommended for people with seafood allergies.